SEATTLE (AP) Phil Humber had Tommy John surgery before his career even started. He bounced around a bit as he tried to make it in the major leagues. Now, well, Humber is perfect. 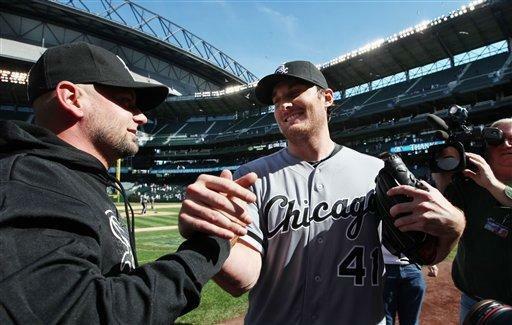 Humber threw the first perfect game in the majors in almost two years, leading the Chicago White Sox to a 4-0 victory over the Seattle Mariners on Saturday. ''What just took place was just awesome,'' he said. It was baseball's 21st perfect game and first since Philadelphia's Roy Halladay threw one against the Florida Marlins on May 29, 2010. 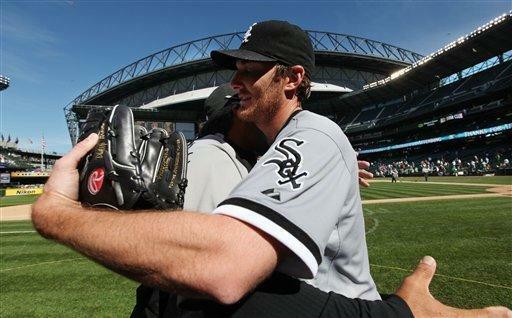 It was the third in White Sox's history, joining Mark Buehrle against Tampa Bay on July 23, 2009, and Charles Robertson against Detroit on April 30, 1922. Before Saturday, Humber was best known as one of four prospects the Mets traded to Minnesota for two-time Cy Young Award winner Johan Santana in February 2008. That's no longer the case - not after tossing the majors' first no-hitter of the season and the second April perfect game in major league history. He was drafted No. 3 overall by the New York Mets in 2004, one pick after Justin Verlander went to the Detroit Tigers. But Humber was sidelined by elbow-ligament replacement surgery the following year and didn't win a game in the majors until 2010 with Kansas City. With the White Sox lined up on the top step of the dugout, Humber fell behind 3-0 to Michael Saunders leading off the ninth. But he rebounded to strike him out. John Jaso then flied out before Brendan Ryan, another pinch hitter, struck out to end the game. Ryan took a checked swing and missed at a full-count pitch that was outside and low, but the ball got away from Pierzynski. Ryan lingered outside the batter's box for a minute, unsure of umpire Brian Runge's call, and Pierzynski fired to first to complete the play. Humber fell to his knees when it was over, and his teammates rushed toward the mound to congratulate him. His wife, Kristan, is nine months' pregnant and due May 8. He called her after the game. Ryan didn't want to talk about the check-swing call. Humber struck out nine and threw just 96 pitches in his first career complete game. The right-hander went to a three-ball count only three times. It was quite a contrast to his first start of the season, when he went 5 1-3 innings and threw 115 pitches in a no-decision against Baltimore on Monday. But Humber has become quite the reclamation project for Chicago, who picked him up on waivers from Oakland in January 2011. 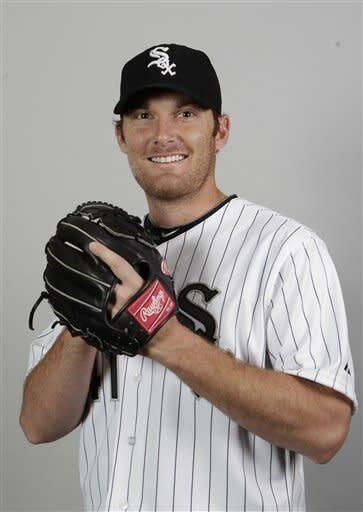 He was 9-9 with a 3.75 ERA in 163 innings last season, his first full season in the majors as a starter. It was the third no-hitter thrown against Seattle. Mark Langston and Mike Witt of the Angels combined on one on April 11, 1990, and Dwight Gooden of the Yankees threw one on May 14, 1996. Humber struck out the side in the second while cruising through the first four innings in just 45 pitches. Chone Figgins' fly ball to left in the fourth was the first ball to reach the outfield. Dustin Ackley followed with a hard liner to right that Alex Rios reached up and stabbed. 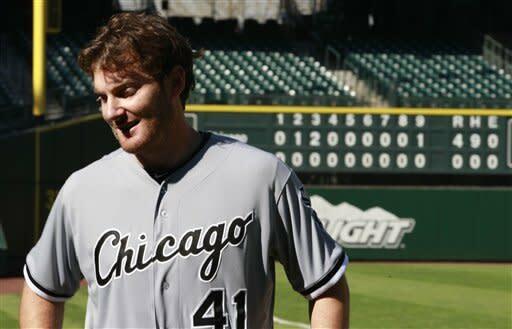 The White Sox moved farther and farther away from Humber as he approached history, leaving him alone as he sat on the bench in the Safeco Field visitors' dugout. Justin Smoak struck out swinging to start the eighth. Kyle Seager lofted a fly to left that looked momentarily like it had a chance to land, but was caught by Dayan Viciedo. Jesus Montero followed with an easy ground ball to second base, sending the perfect game to the ninth. Paul Konerko hit his second home run of the season and No. 398 for his career in the second. He also had a run-scoring single in the third. Mariners starter Blake Beavan (1-2) allowed three runs and seven hits in six innings. Humber becomes the latest one-time Mets pitcher who went on to throw a no-hitter elsewhere, a group that includes Nolan Ryan, Tom Seaver, Gooden and David Cone. New York has never had a no-hitter in its 51-year history. The only other team without one is San Diego, which began play in 1969. NOTES: There were three no-hitters last year: Francisco Liriano of Minnesota, Justin Verlander of Detroit and Ervin Santana of the Los Angeles Angels. ... Seattle reliever Hisashi Iwakuma made his major league debut Friday night, becoming the last player on an Opening Day roster who was not hurt or optioned to the minor leagues to do so. . Rios came into Saturday with an eight-game hitting streak. Associated Press Writer Manuel Valdes in Seattle contributed.